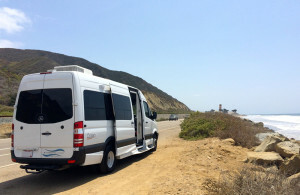 Head north up the coast thru Los Angeles, thru Ventura, Santa Barbara and Goleta and you’ll find some of the best beach camping in the country. Not to mention, the classic views along route 101. Sky and I recently hit the road to check out this section of california coast where several of our clients have explored, camped and visited. El Capitan State Beach $35 & $45 Del Mar section is for RV’s only. There are no firepits or picnic tables but you have ocean views from atop the bluff. Ocean Mesa $95 per night. full hook ups; pool, spa, Yurt, WiFi; general store and ocean views. Pets Friendly with two dog runs. El Capitan Canyon – cabins; deli/restaurant no pets.